"The clearest example of the disregard with which gravediggers treated recent burials is the example of burials 194a and 194b [above]. 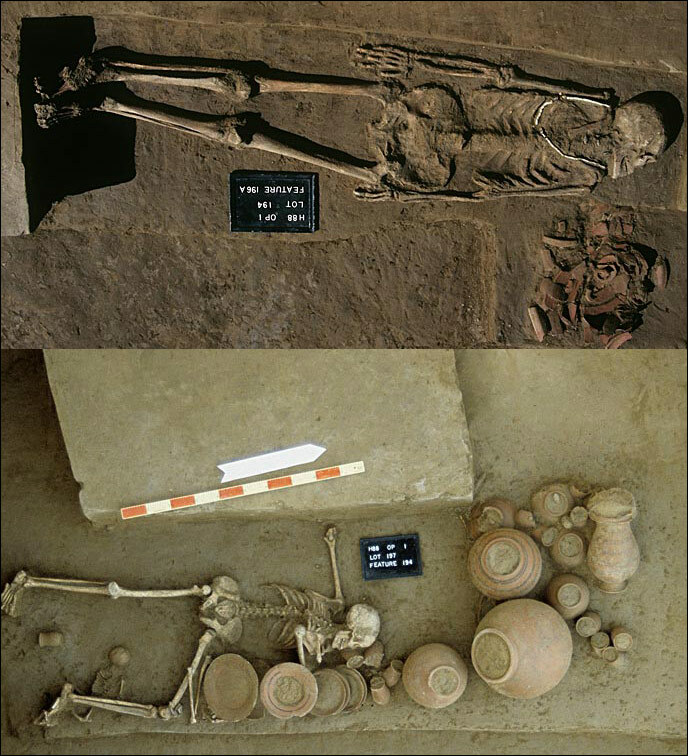 This burial is of a young woman and her infant, along with 32 pottery vessels that were carefully arranged along the edges of the burial pit. A later burial of a male, burial 196a, cuts into this earlier grave, and it appears that the gravediggers cut the left arm just below the elbow, possibly to remove shell bangles that are traditionally buried with some females. 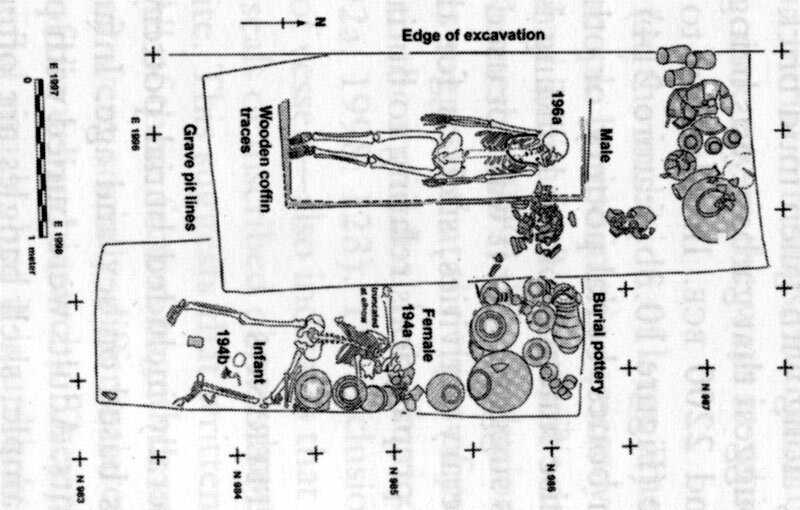 The distal part of the arm was discarded in the pit, and the body was turned over, presumably in the damaged coffin. The infant that must have been deposited in the coffin was also disturbed and found spread out in an area below and between the legs of the adult skeleton. Such actions by the gravediggers suggest that people digging the graves and the people who were being buried were probably from distinct communities." J.M. Kenoyer and R.H. Meadow, Excavations at Harappa, 1986-2010: Burial Traditions in A Companion to South Asia in the Past, Edited by Gwen Robbins Schug and Subhash R. Walimbe, p 162.